JERUSALEM, Israel (BulgarianMilitary.com) – Tension between Beijing and Jerusalem. This after a warning from top officials claiming that major Chinese investments in the Israel create a very “problematic” situation, learned BulgarianMilitary.com. According to Israeli Channel 13 news, the Chinese are particularly angered by remarks made by Nadav Argaman, the chief of the Israel general security service. He was quoted earlier this month warning against the security implications of the Chinese heavy involvement in key infrastructure projects. In recent years Chinese companies are building huge projects in Israel, Chinese delegations of scientists and business men are in Israel almost all the time. Chines companies invested in big Israeli companies. That looks good, but this is also a reason for great concern among the security experts. It seems that China has discovered the Israeli potential demand for fast performed infrastructure projects and as sources for technology. One good example is the contract won by the Shanghai International Port Group (SIPG), a Chinese company, to take over the management of a new privately constructed seaport in Haifa bay in 2021. After helping expand the port in the last few years, the company will be granted a 25-year contract to run it. Haifa’s harbor is also a strategic port of call for US Navy ships in the region. 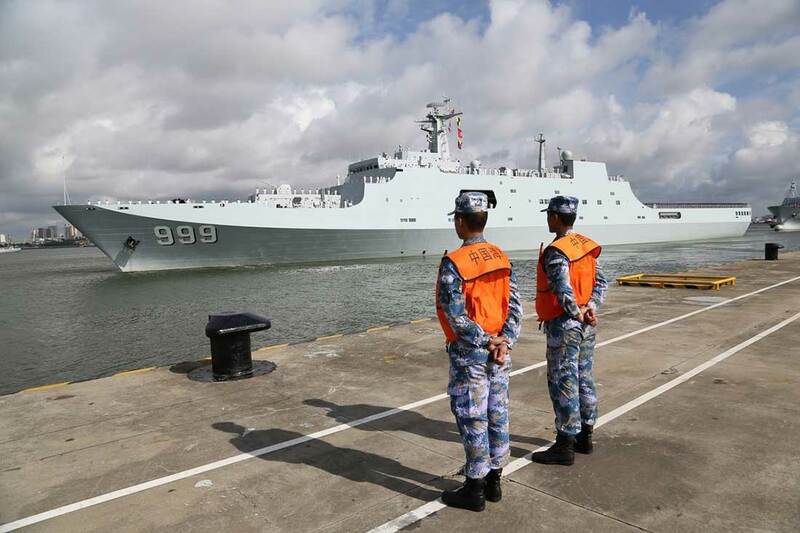 When SIPG takes over a commercial section of the harbor, this means that Chinese personnel will be in close proximity to US naval ships and installations and the main base of the Israeli navy. In Israel, the volume of the criticizing voices has become higher. The expansion of the port in Haifa, with big Chinese presence allows a continued observation of one of Israel’s main strategic assets – its navy submarines. The operational ones are docked in a special facility in the port and that is where the new, very advanced submarines built now in Germany will dock. Observers are also concerned that SIPG, despite being listed as a public company, is under the direct control of the government of China, which holds most of its shares. Chinese companies like SIPG have played a significant role in the construction of various infrastructure projects throughout Israel, including Tel Aviv’s light rail system and the Tel Aviv- Jerusalem electric railway. Ephraim Halevy, former head of the Israeli Mossad, said that the Chinese commercial and economic activity in the Middle east including Israel, has a security angle “China wants to become more powerful in the Middle East, in aspects of defense. It is very close to Iran which is very important to China as an energy supplier. He added that China not only buys Iranian oil, but is very active in developing the Iranian oil industry. The former head of the Israeli general security service, said that much more must be done to minimize the threat. Shaul Horev, served as deputy commander of the Israeli navy , the managing director of the Israel Atomic Energy Commission (IAEC) and headed a secret agency in the Israeli ministry of defense. Horev with other experts, wrote a report about the Chines penetration into Israel.